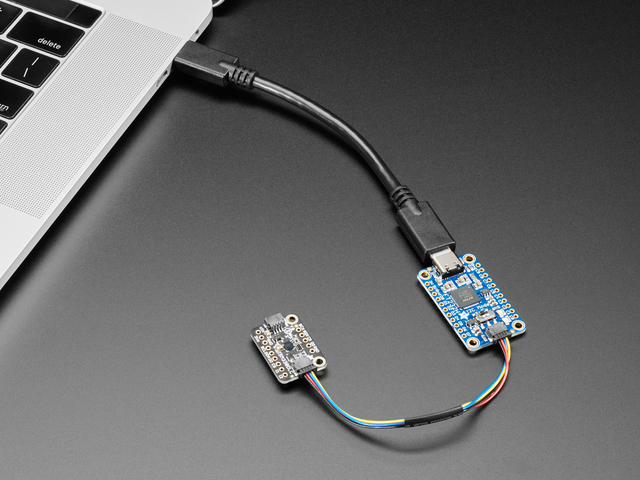 To access the MPSSE mode on Linux we need to install libftdi and the Adafruit Python GPIO library. Carefully follow the steps below to install these libraries. Note that these steps are made for Ubuntu 12.04/14.04 and should work with any Debian-based distribution. If you're using a different distribution you might need to check its package manager for the appropriate commands to install the mentioned dependencies. In a command terminal execute the following commands to install libftdi and its dependencies. NOTE: This assumes you're installing on a Debian/Ubuntu/Raspbian-based system and will use Python 2.7. If you're using a different version of Python or your distribution installs Python in a different location you might need to change the paths of the -DPYTHON_xxxx environment variables in the cmake command. The commands above should complete without any errors. If you do see errors, make sure all the dependencies were installed with the apt-get install command. You should see the Python library successfully install without any errors. You should see no response from the Python interpretor after entering each line. If you do see an error that a module cannot be loaded, go back to the libftdi installation steps above and carefully check they completed successfully. If there are no errors, congratulations you've successfully installed libftdi and the Adafruit Python GPIO library! Move on to the next section to learn how to access the MPSSE mode GPIO, SPI, I2C, etc. This guide was first published on Nov 12, 2014. It was last updated on Nov 12, 2014. This page (Linux) was last updated on Apr 23, 2019.